The Great British summer has landed (complete with questionable weather)! 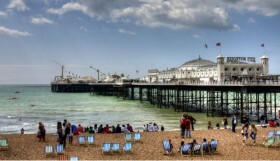 Brighton in the sunshine is unbeatable, with opportunities for free fun around every corner. 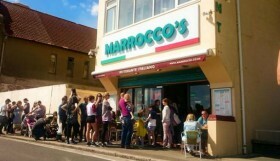 Top-up your tan on Brighton beach, enjoy a lazy drink in one of Brighton’s 10 Best Beer Gardens, or cool off with an ice cream at Marrocco’s. Done all of that? 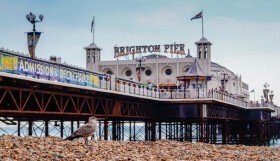 Next on the list: explore the city on foot and tick some of our ‘Best Free Things to Do in Brighton’ off your list, or hop on your bike and cycle along the coast! There are plenty of events happening this July which won’t break your budget. Here is a run-down of the hottest free happenings – from kite festivals, to comedy, to live music from your soon-to-be favourite new band. Enjoy, and don’t forget your umbrella! “Some images evoke giddy feelings of life sped up. Others the tranquillity and relaxation of life slowed down. 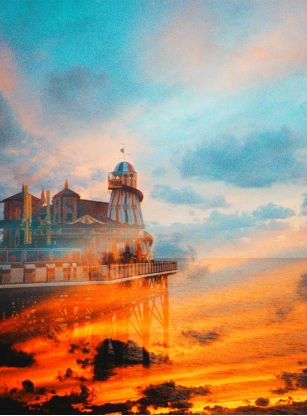 But all of them remind that it’s the little things in life, the small moments – the changing seasons and the chance sightings – that can be the most moving.” Serendipity is an exhibition exploring the uniquely atmospheric and colourful work of two of Brighton’s best photographers: Toby Mason and Steve Wrigley. Using only 35mm analogue film, the two photographers have experimented with creative techniques including multiple exposures, ‘film swaps’, and the use of film well past its sell-by date, exposed using incorrect chemicals. Prepare to see Brighton as it’s never been seen before! You are cordially invited to an all-American beer and music festival at Stanmer House over the American Independence Day weekend. Enjoy a slice of southern hospitality: delicious ales, fruity ciders, a big barbeque and lots of live music, all while soaking up the Stanmer sunshine! Set in a beautiful Grade I listed manor house in Stanmer Park, sit back and enjoy the historic surroundings while enjoying entertainment from a range of great bands. Immerse yourself in work from 24 talented artists at the University of Brighton Fine Art graduate show. The work on display explores diverse themes: the importance of memory and nostalgia, the role of the museum, explorations into the sublime through film, and the use of silk worms as metaphor. Keep your eyes peeled for performances including a Radical Gallery Tour, feminist LOLs and womanly adventures, and spectacular installations using light, sound and movement. Get acquainted with the exciting new stars of the Brighton art scene. 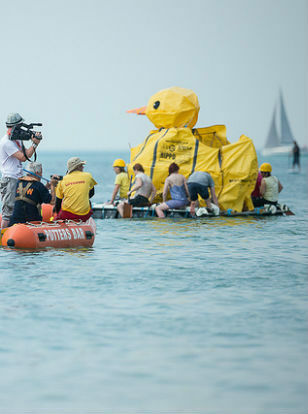 Paddle Round the Pier, the world’s biggest free beach and water sports festival, is making a splash in Brighton this July once again! The weekend will be a blend of water-based activities and on-land entertainment: spreading “a little aloha spirit” on Brighton beach. Highlights include Pier to Pier races, and ‘Paddle Something Unusual’- a chance to get creative and join in the paddle on transport of your own invention. For the landlubbers there will be live music, kid’s activities, a daily dog show and much more! 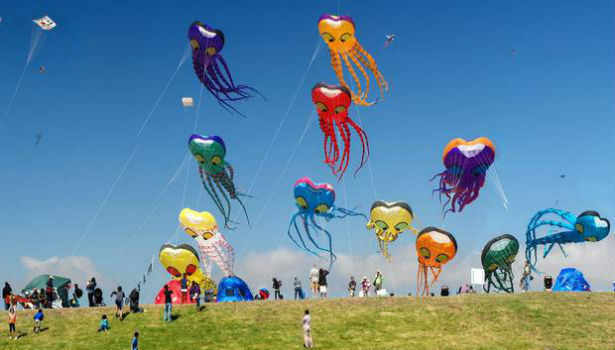 Head over to Stanmer Park to see kites of all shapes and sizes taking flight, in an unmissable aerial spectacular! Kite-spotters can expect to see a wonderful array soaring through the sky, from classic kites, to the more exotic and unusual. This is the 37th edition of the much-loved annual festival; prepare to be dazzled by the skills on display. Browse stalls laden with amazing creations, from textiles and jewellery, to photographs and natural candles at the Handmade Fair. Soak up the atmosphere in the thriving Open Market, an integral part of the recent London Road renaissance. 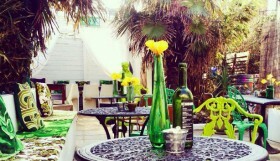 Get inspired by creative local makers, pick up some fresh produce, or relax al fresco in a cosy cafe. This fabulous fair is free to enter and there will be complimentary face painting available for kids and big kids alike! 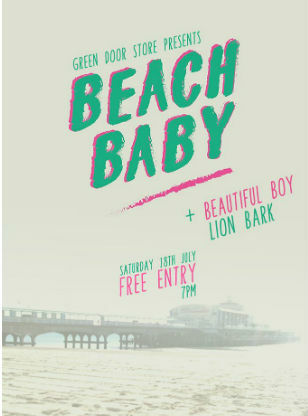 London-based band Beach Baby are bringing their lo-fi, shoe gaze-y sound to Brighton’s Green Door Store this July. Their debut single Ladybird, a self-professed ‘alternative love song’ has been described as a ‘dreamy pop mix of drone vocals filled with lush sounds’ and is guaranteed to get stuck in your head all day. New to touring, they are definitely one to watch – you heard it here first! Enjoy a day of smooth blues at The Brunswick, with music from The Blues Issue, Catfish, Shakedown Collective, RG Winfield & Double Shuffle and Junkyard Sons. Beginning at 2pm, the party will continue into the night, raising funds and awareness for The Rockinghorse Appeal. An ‘Under the Sea’ themed day of fun for all of the family, featuring local sellers, workshops, free craft stations, free face painting, a treasure hunt, prizes, films, a visit from the Sealife centre and lots more! Kids can have lots of fun on the bouncy castle and in the soft play area and even have a go on giant connect 4 with Derek the dolphin. Also the permanent shops and cafes will be getting into the theme with special products and cafe menus for the day. SQUIDCUT is collaboration between fashion designer Lilia Yip, photographer Nicol Vizioli and filmmaker Jessica Kneipp at Brighton’s innovative ONCA gallery. The collection investigates Yip’s fascination with squid and synthetic biology. We now possess the ability to alter and create new organisms that function to our design – but what if we go too far? Explore garments and cuttings which fuse lab coats with circular squid shapes and iridescent digital imagery, in this fascinating exhibition. Bring some serenity to your summer at Brighton Yoga Festival. 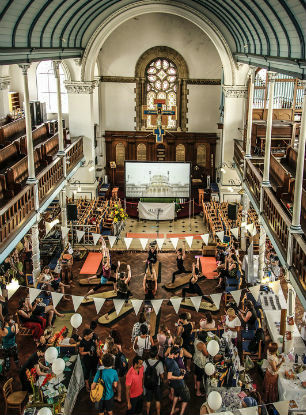 Founded in 2014, the one day festival in the heart of Kemptown offers free yoga workshops, demonstrations and events to participants of all abilities. Try out various styles of yoga and holistic therapies for free! There will also be music, food stalls and more. See the very best Edinburgh Fringe comedy before Edinburgh Fringe has even begun. TOM’s Edinburgh Comedy Previews invites acclaimed and upcoming acts to showcase brand new material. In this edition, the laughs are provided by Joey Page (as seen on Nevermind the Buzzcocks, BBC 3 comedy presents, Noel Fielding’s luxury comedy) and talented stand up and character comedian Holly Burn.